move to Willow Run, Michigan, where he'll work nights in a factory building important war planes that will help fight the enemy in Europe. Willow Run will be the greatest adventure ever, Meggie thinks. There she meets Patches and Harlan, other kids like her from far-off places whose parents have come here to do their part in the war. And there she faces questions about courage, and what it takes to go into battle, like Eddie, and to keep hope alive on the home front. Starting sixth grade at a new school is never easy, especially when your name is Hero. Named after a character in a Shakespeare play, Hero isn't at all interested in this literary connection. 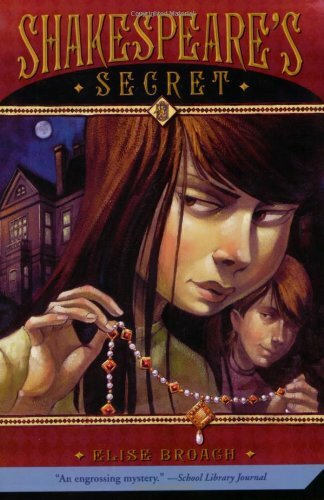 But when she's told by an eccentric neighbor that there might be a million dollar diamond hidden in her new house and that it could reveal something about Shakespeare's true identity, Hero is determined to live up to her name and uncover the mystery. 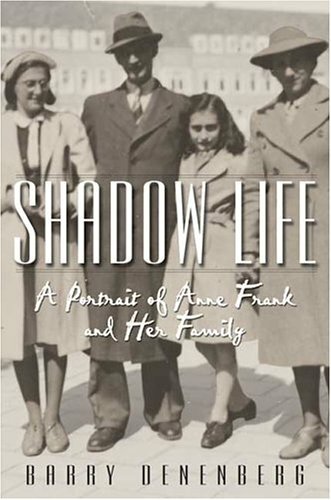 In a groundbreaking work, acclaimed author Barry Denenberg explores the history of the Holocaust and the lives of Anne Frank and her family. Denenberg presents the complete story of Anne Frank and her family's life, from Frankfurt, Germany, where Anne and Margot were born before the war, up through to their murders at the Bergen-Belsen concentration camp. When the Franks leave Frankfurt for Amsterdam, they are hoping to find a place where they can resume a normal life, but instead, the family's freedoms are taken away bit by bit. But it is when they see that other Jews are being taken away, and sent to so-called labor camps that the Franks realize they have no choice but to go into hiding; they live in fear for 2 years. On February 17, 1864, the H.L. Hunley made history as the first submarine to sink a ship in battle. Soldiers on the shore waited patiently after seeing the submarine's return signal. But after several days, the ship had failed to return. What had gone wrong? In 1995, after over 130 years of searching, the H.L. Hunley was finally found buried off the coast of South Carolina. 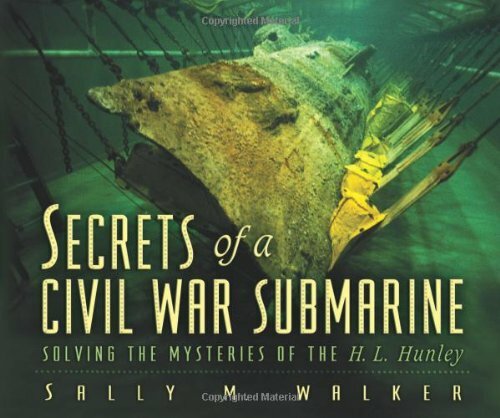 Follow author, Sally M. Walker on a fascinating journey through the workings of the famous submarine, its voyages, and the difficult obstacles that were overcome to recover, excavate and conserve the ship. The chance to make a RECORD OF A WAR -- this war -- in a way that had never been done before: WITH TRUE-TO-LIFE PICTURES INSTEAD OF JUST WORDS. 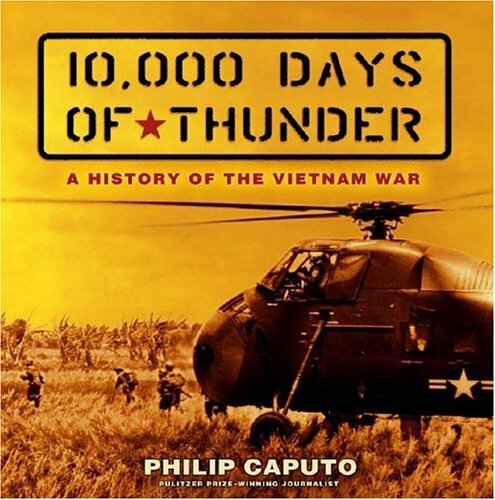 He hired field photographers to travel with the troops, equipped them with cameras and wagons filled with supplies, and sent them out with the directive to make a visual record of the war and to show people scenes they could have only read about before. The pictures the field photographers sent back were HAUNTING, BEAUTIFUL, DEVASTATING, AND TOTALLY UNFORGETTABLE. And thousands of them included the notation "Photo by Brady." Though Brady didn't actually take the photographs, he was the genius behind them. His vision and foresight gave the country images that not only touched the people at the time, but have gone on to leave an indelible mark on the collective memory of this country. And the name of Mathew Brady will always be remembered with them. 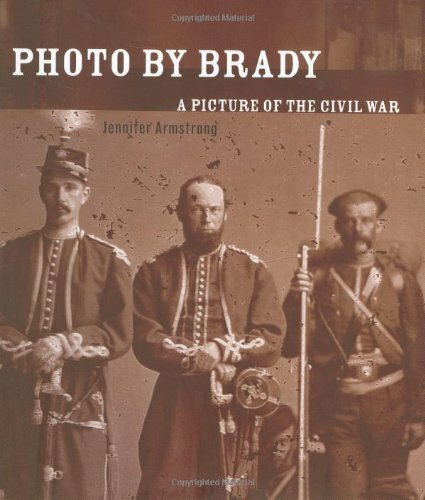 In Photo By Brady, Jennifer Armstrong tells the story of the Civil War as seen through the lenses of its recorders. It is a moving and elegant look at the brutal and deadly time. Did the Black Death destroy medieval Europe? Did cholera pave the way for modern Manhattan? Did yellow fever help end the slave trade? Remarkably, the answer to all of these questions is yes. Time and again, diseases have impacted the course of human history in surprisingly powerful ways. From influenza to smallpox, from tuberculosis to yellow fever, Bryn Barnard describes the symptoms and paths of the world's worst diseases—and how the epidemics they spawned have changed history forever. 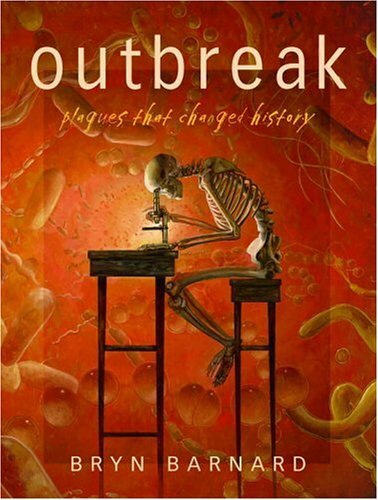 Filled with fascinating, often gory details about disease and history, Outbreak! is a wonderful combination of science and history. No matter how the question is answered, one thing is clear: There has hardly been a life in the last century that Eleanor Roosevelt has not affected, in one way or another. From securing safe, low-cost housing for Kentucky's poor, to helping her grandchildren hang a tire swing on the White House's south lawn, to representing America as the first female delegate to the United Nations, Eleanor rarely kept a second of her life for herself -- and she wouldn't have had it any other way. In this stunning "scrapbook" biography, Candace Fleming, author of the acclaimed Ben Franklin's Almanac, turns her keen eye to our nation's premier First Lady. 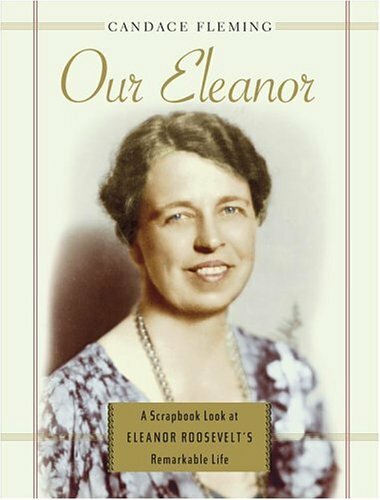 Filled with photographs of everything from Eleanor's speech at the 1940 Democratic National Convention to her high school report card, as well as fascinating stories about life in and out of the White House, Our Eleanor gives us a remarkable perspective on a remarkable woman, and presents to a new generation an Eleanor to call its own. 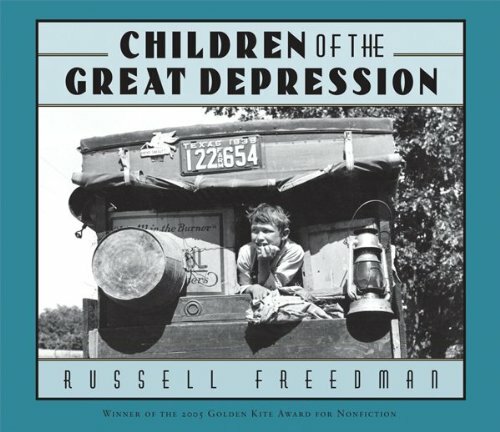 As he did for frontier children in his enormously popular Children of the Wild West, Russell Freedman illuminates the lives of the American children affected by the economic and social changes of the Great Depression. Middle-class urban youth, migrant farm laborers, boxcar kids, children whose families found themselves struggling for survival . . . all Depression-era young people faced challenges like unemployed and demoralized parents, inadequate food and shelter, schools they couldn't attend because they had to go to work, schools that simply closed their doors. Even so, life had its bright spotslike favorite games and radio showsand many young people remained upbeat and optimistic about the future. The year is 1897, and gifted violinist Reuven Bloom is fifteen years old. Life for the Jews in Russia is very hard. First Reuven's best friend is captured to serve in the Tsar's army, then his parents and older sister are murdered. Reuven's dreams of music must be set aside. Now he has only one goal: escape. With his baby sister strapped to his back, Reuven sets off toward an unknown freedom. His journey takes him first across Russia, then ultimately to America. Readers will remember Reuven as the revolutionary who helped Sashie and her family flee from Russia in The Night Journey. 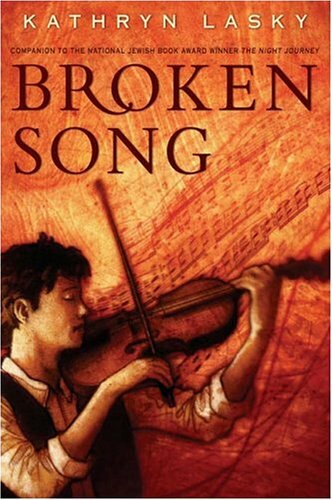 In Broken Song, Reuven's own powerful story unfolds.